ISTANBUL is one of the most complex cities I’ve seen lately. Its cultural diversities, traditions, architecture, friendly people, religion make a huge difference when it comes to how special this city is. Istanbul is one of the biggest cities in the world, with around 15 million population, which is more than 177 countries around the world. Istanbul was the capital city of three major Empires: Eastern Roman Empire, Byzantine Empire, and Ottoman Empire during their rule. 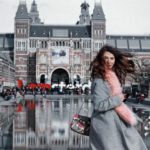 Even if I spent almost two weeks in the most populous city of Turkey, I didn’t have enough time to visit all the touristic spots, but I have walked hundreds of kilometers to make sure that I see more than just the popular areas of the city. Everywhere you go, the smell of their food and their sweets is manipulating your senses and you can’t say no to a delicious treat after you have walked a few kilometers. Turkish people are nice, kind and friendly. They will offer you a lot of delicious tea and turkish delight for nothing. Also, most of the restaurants will serve you a free appetitive before the ordered food…and trust me, it’s HEAVENLY TASTY! These people have also a good sense of humor (especially the sellers in Grand Bazaar ? ), but be aware of not fooling you. Miniatürk is a miniature park situated at the north-eastern shore of Golden Horn in Istanbul, Turkey. 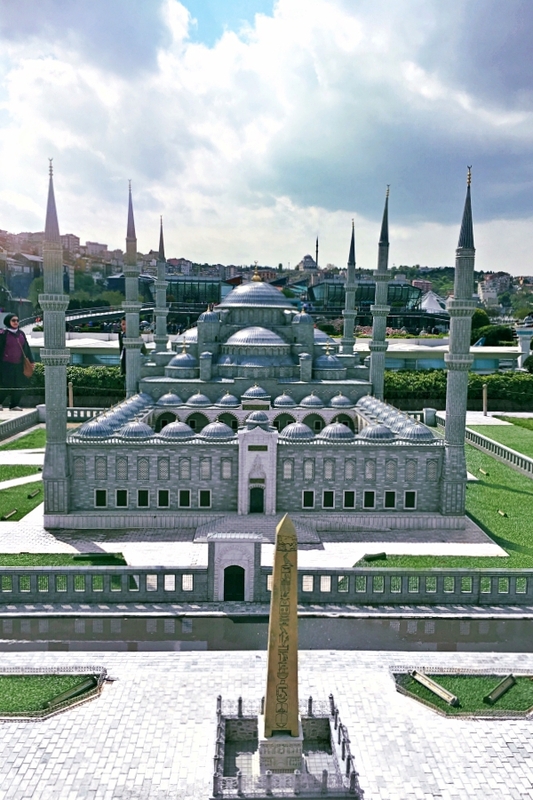 Let’s say like a mini Istanbul, with 122 models, done in 1/25th scale. 58 of the structures are from Istanbul, 52 are from Anatolia, and 12 are from the Ottoman territories that today lie outside of Turkey. Also featured are historic structures like the Temple of Artemis at Ephesus and the Mausoleum of Maussollos at Halicarnassus (now Bodrum). Hagia Sophia is a great architectural beauty and an important monument both for Byzantine and for Ottoman Empires. It was a Greek Orthodox Christian church, later an imperial mosque, and now a museum (Ayasofya Müzesi). 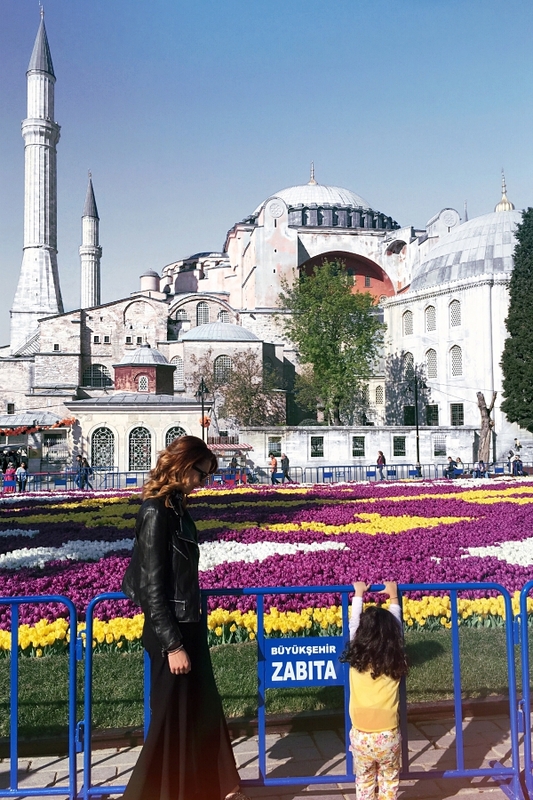 The city today carries the characteristics of two different cultures and surely Hagia Sophia is a perfect synthesis where one can observe both Ottoman and Byzantium effects under one great dome. 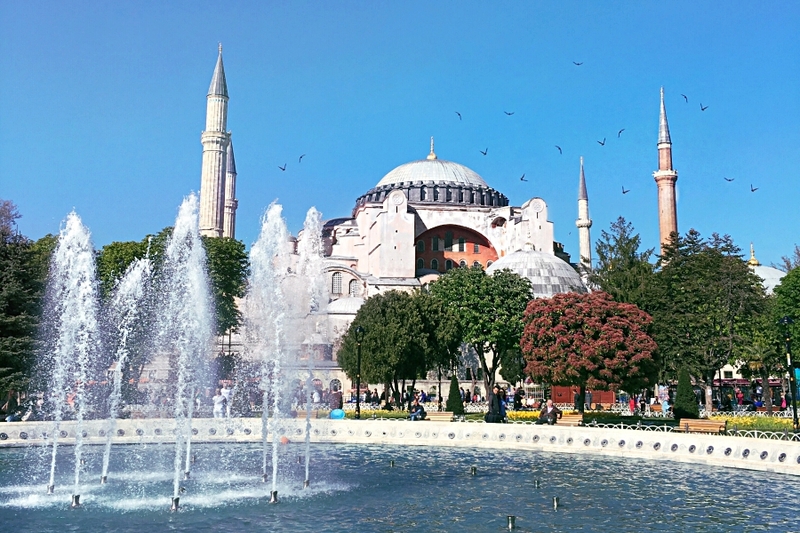 Did you know that Hagia Sophia was the largest church in the world for about 900 years? Also known as the Blue Mosque, Sultan Ahmed Mosque is definitely one of the most impressive monuments in the world. 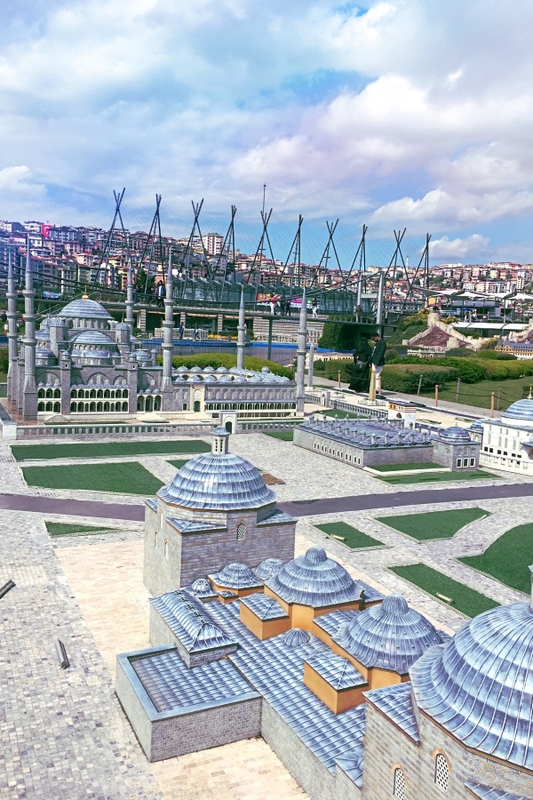 The design of the Blue Mosque is the culmination of two centuries of both Ottoman mosque and Byzantine church developments. It incorporates some Byzantine elements of the neighboring Hagia Sophia with traditional Islamic architecture and is considered to be the last great mosque of the classical period of Ottoman Empire. Also, Blue Mosque is the only mosque in Istanbul with six minarets, which is the maximum number you can have in a mosque. 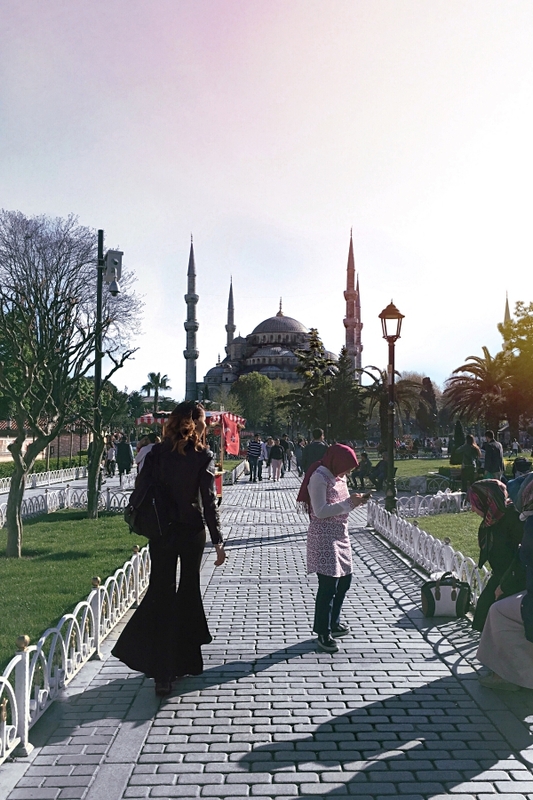 The two impressive buildings – Sultan Ahmed Mosque and Hagia Sofia – are connected by a beautiful park with many palms and benches where you can rest and contemplate while looking at thousands of years of history. 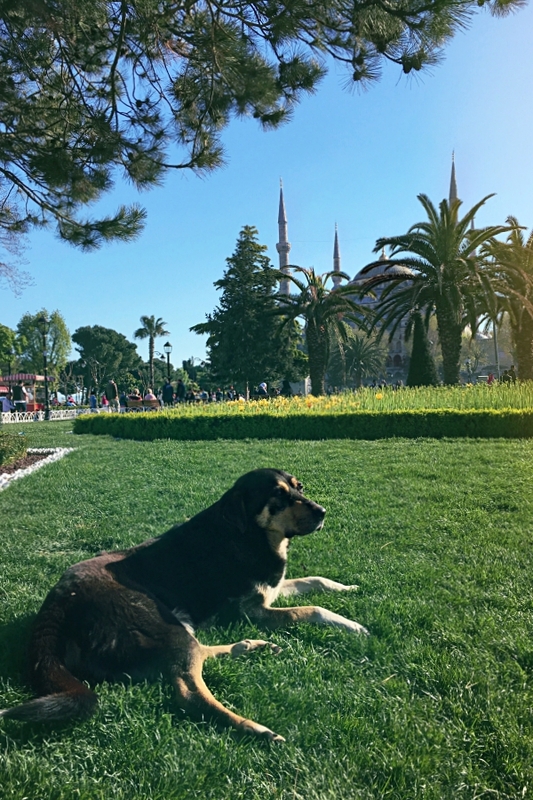 Gülhane Park is a historical urban park in the Eminönü district of Istanbul. The namesake of the park, the Gülhane (“Rosehouse”) present on the grounds, was the place where the 1839 Edict of Gülhane was proclaimed. 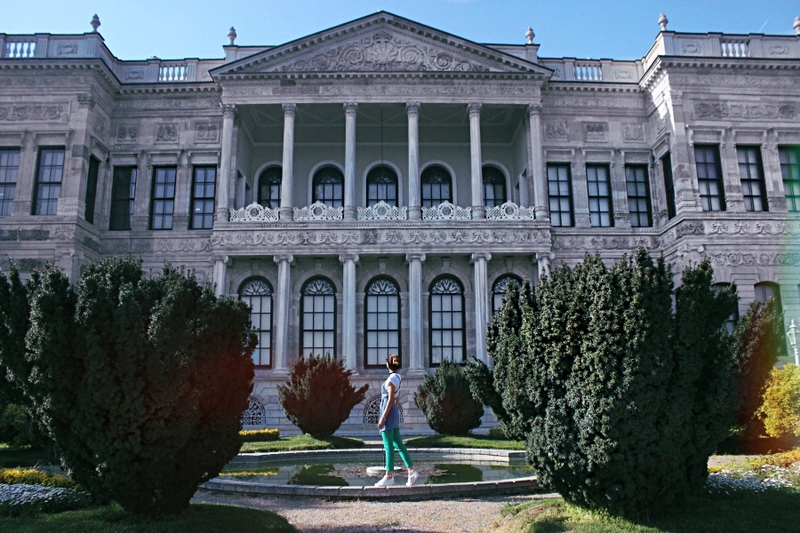 Gülhane Park was once part of the outer garden of Topkapı Palace and mainly consisted of a grove. A section of the outer garden was opened to the public in 1912. It will take a few hours to see the park, but it it totally worth it. I also recommend you to take a blanket and some snacks and have a little picnic in the park. You’ll love it! 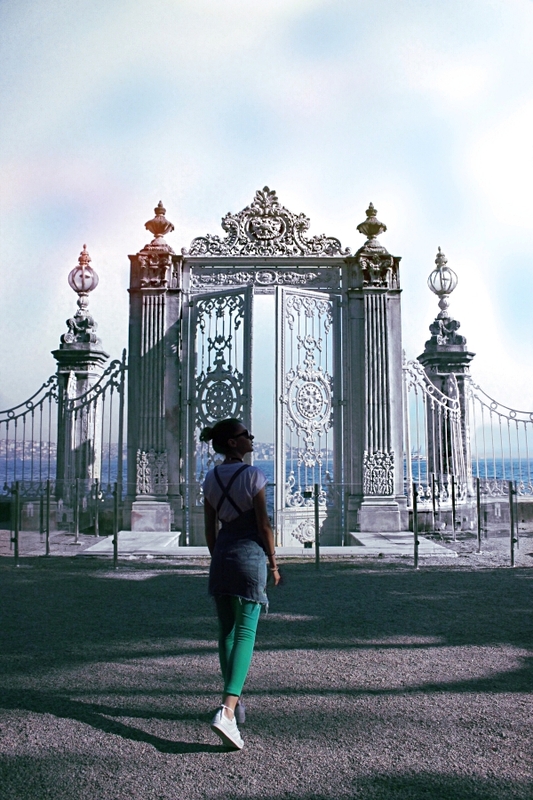 Dolmabahçe Palace has been my favorite place from Istanbul. Not only the architecture, the luxuriant interior design, the enormous ballroom covered in gold, its beautiful gardens…but the view is BREATHTAKING! The palace is is one of the most glamorous palaces in the world. It has 285 rooms, 44 halls, 68 toilets and 6 Turkish baths. Almost 14 tons of gold were used to decorate ceilings in gold leaves. The crystal chandelier which can be seen in the ballroom has been sent by Queen Victoria of England as a gift to the palace and it’s the largest chandelier in the world with its 750 bulbs and weights 4.5 tons. Unfortunantely we were not allowed to take photos inside, but I promise you that you won’t regret after you take the tour inside the palace. 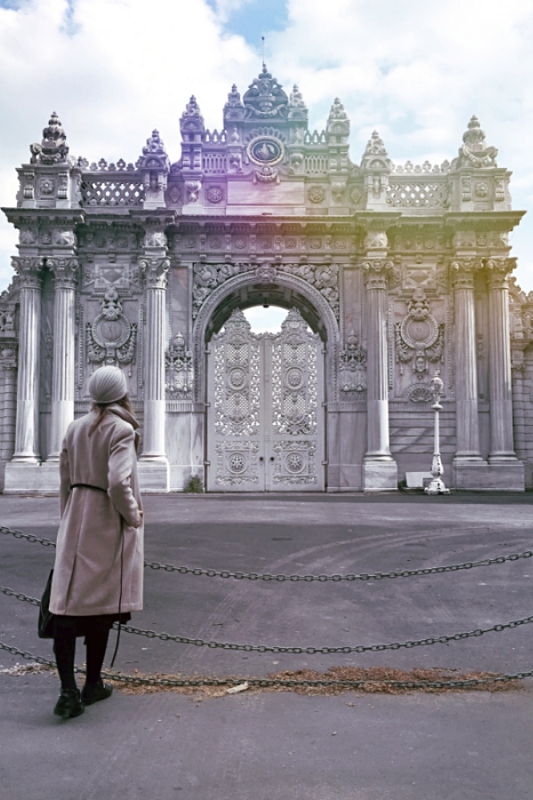 Here comes the most popular attraction of Istanbul. 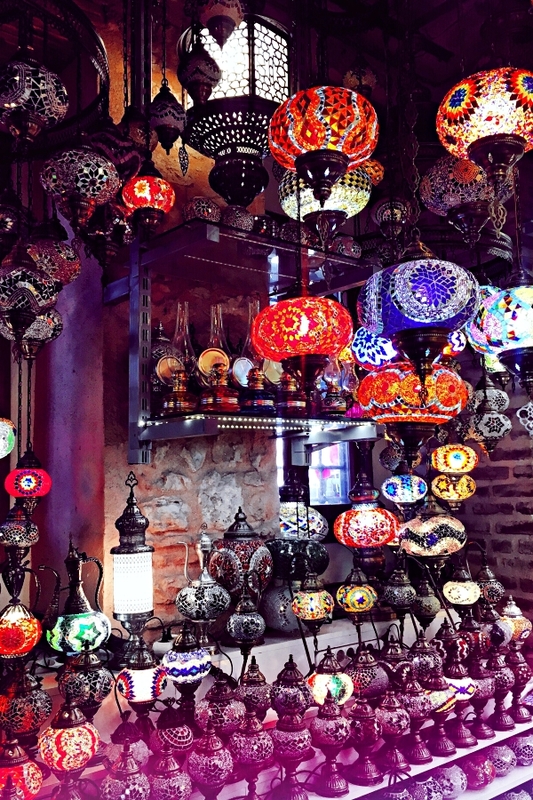 The Grand Bazaar is like a city in miniature. There’s nothing you can’t find, buy or negotiate. It’s mandatory to try to negotiate with the seller, because otherwise they will feel insulted. If they like you, they will offer you little gifts, free turkish tea and a lot of turkish delight. 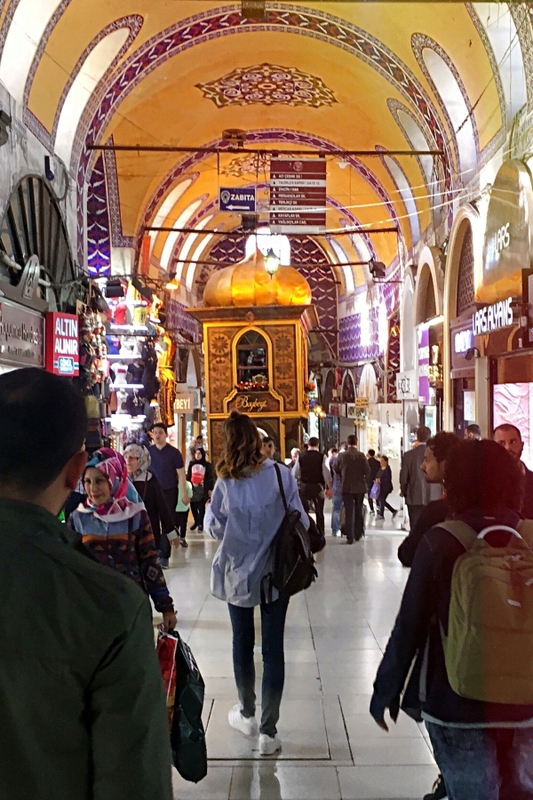 Grand Bazaar is the biggest old covered bazaar in the world, with over 3.000 shops, which attract between 250,000 and 400,000 visitors daily. Can you imagine? You will see in my VLOG a lot of images from our Bosphorus Cruise. It is one of the best options for a cloudy day, when the weather it’s not too friendly for visiting. There are many options from which you can choose. 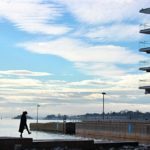 For example, you can choose to have the dinner while having a cruise on the river, or taking the boat during the day and visiting the isles. Any of the options is great, but my recommendation is to take the cruise during the day so that you can fully enjoy the views. 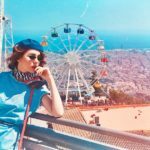 I hope that you have enjoyed this travel article and I invite you to visit my #INSTAGRAM page and follow us in our adventures.